When you've looked at our work, you’ve probably gotten an idea of what we can produce. But - these don’t tell you how they've come about. To know that, involves a discussion about the imagination, the creativity, the inspiration, possible muses, and most importantly – the client's input. Alternatively, we simply say that our images incorporates a little tech, a little artistry, a little vision, and a little magic. We hope that if our style is aligned with your requirements or vision, we’ll hear from you. When you contact us, you’ll find that we’re interested, eager, confident, enthusiastic, usually polite, and bring 20+ years of ongoing experience to the table. What we’re here for: producing lasting imagery to represent your events, your products, your services, your message. This encompasses brands, business profiles, websites, professional portraiture and headshots, the “who you are and what you do”. OK – so who are we? 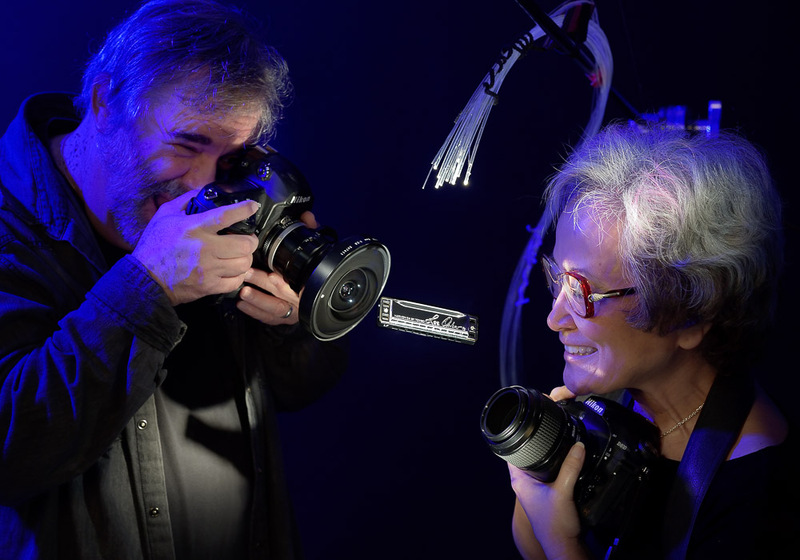 We are an absolutely inseparable wife and husband team of two photographers and creatives who’ve been together an extremely short 42+ years together. We don’t compete, we complete, and use that to innovate and produce. We shoot for you, and want to make sure we have provided a fabulous result with an experience that was both fun and productive. Our ultimate goal is to develop a collaborative relationship with you that continues to produce images that endure.